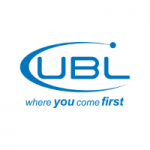 United Bank Limited (UBL) is one of Pakistan’s largest banks in the private sector. The bank operates a network of over 45,000 customer touch-points which include 1,390+ branches across Pakistan and 19 branches overseas. It was declared Pakistan’s ‘Best Bank for Corporate Finance & Capital Market Development’ at the Pakistan Banking Awards 2017. The Bank’s entity ratings are AAA/A-1+. The Bank maintains its leadership in branchless banking through UBL Omni which has an agent network of over 42,100 Dukaans. The network also boasts 1120 ATMs and 480+ Contact Centre Agents across Pakistan.